Atlas Copco Gas and Process Division has secured a compressor order from Samsung Heavy Industries in Korea for a total of eight HD centrifugal gas compressors, eight oil-free gas screw compressors, and the necessary heaters and vaporizers. The equipment will be used on four liquid natural gas (LNG) carrier vessels commissioned by Celsius Tankers. 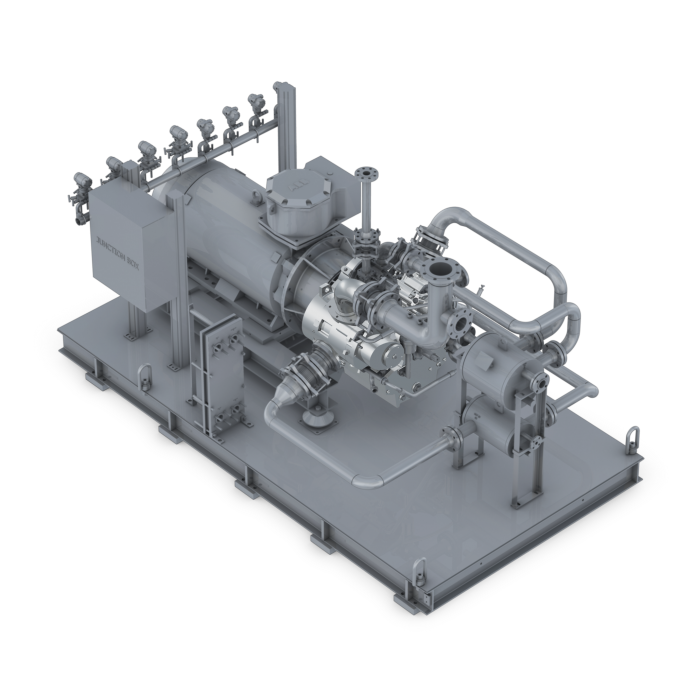 The new vessels will utilize Atlas Copco’s oil-free gas screw compressors to feed the Wärtsilä XDF engines – a first in the carrier LNG industry. This new compressor technology was specifically designed to meet modern carrier needs, including the XDF pressure requirements and reduced flow of boil-off gas from improved insulation measures. The oil-free design also allows for longer maintenance intervals compared to oil-flooded compressors, according to the company, and can be used with a reliquefaction system without any risk of oil contamination in heat exchangers or LNG cargo. The first units will begin shipping from Atlas Copco Gas and Process to the customer beginning October 2019, with the remainder of the machinery to be delivered in the second quarter of 2020.